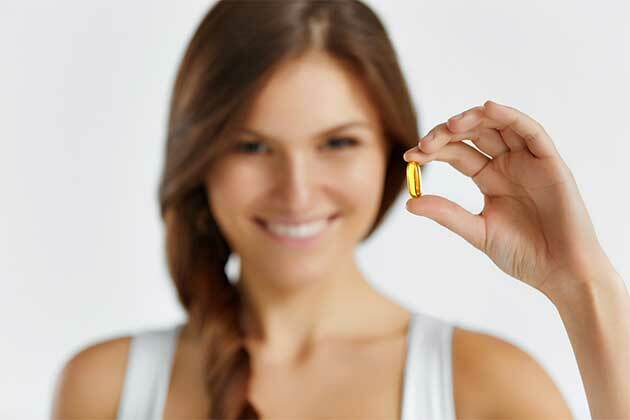 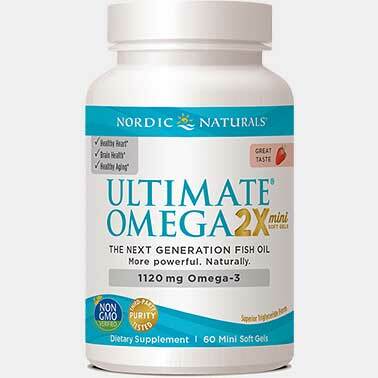 If getting the most omega-3s and vitamin D3 in as few soft gels as possible is your goal, then this is the formula for you. 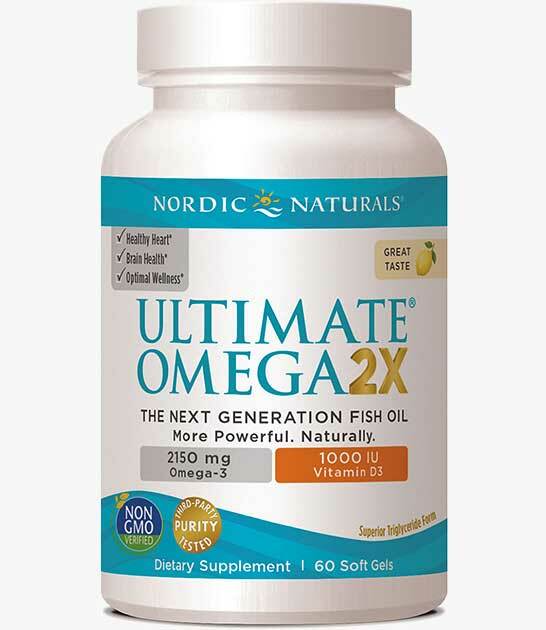 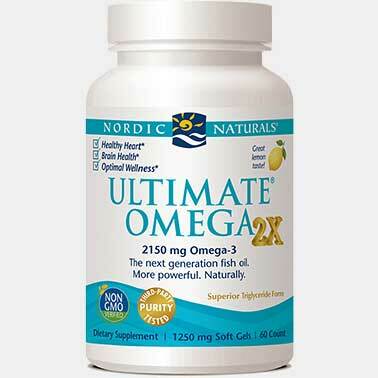 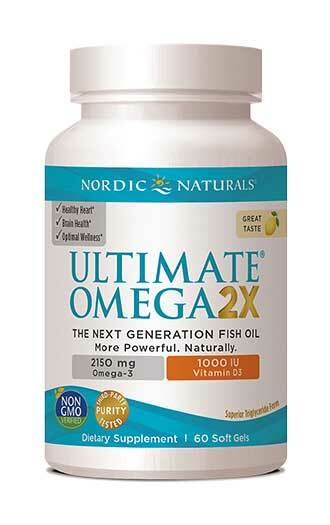 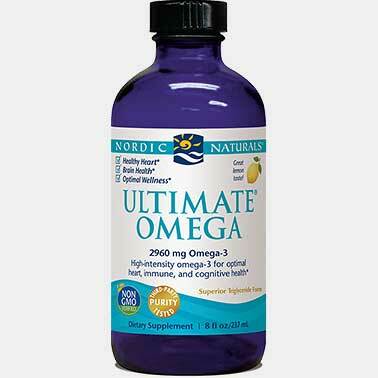 Ultimate Omega 2X with Vitamin D3 combines Nordic Naturals' most powerful omega-3 EPA+DHA concentrate with 1000 IU vitamin D3—another essential nutrient your body needs for optimal wellness. 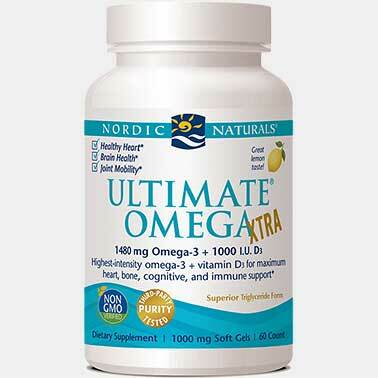 * The added vitamin D3, the form of vitamin D your body naturally makes from sunlight, means even fewer supplements to make part of your daily routine. 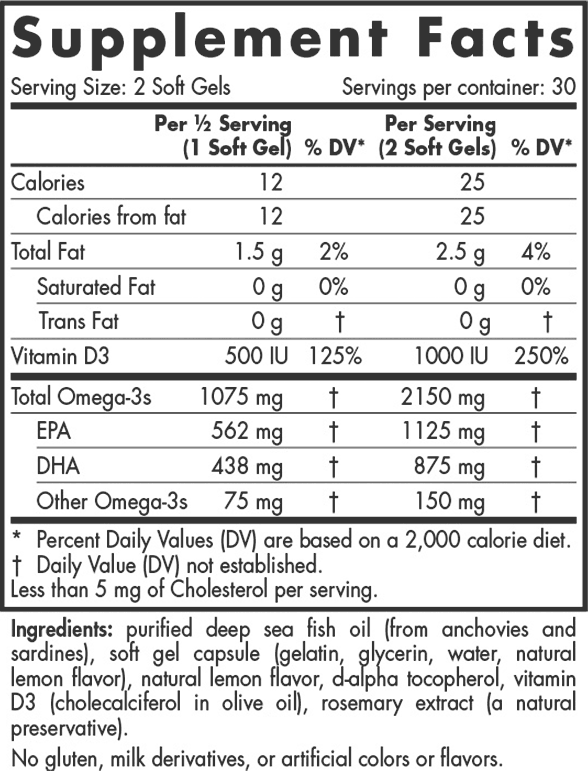 Now that's something to feel good about.